We are recognized as a successful Wholesale Trader of a wide range of Rubber Stamp Making Machines, Stamp Daters, Hand Stamps, Stamp Materials, Stamp Mounts, etc. Our range of products is known for its impeccable finish and exceptional quality. 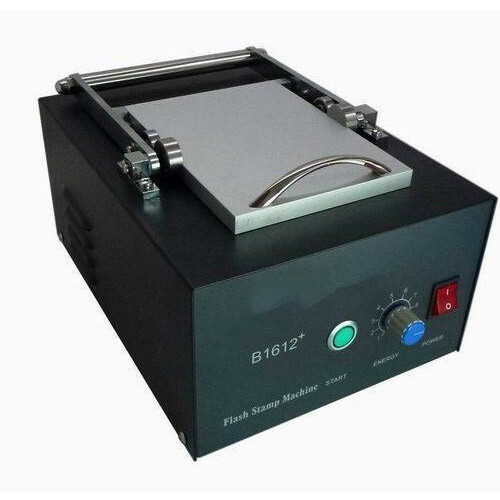 Our company has gained immense accolades in the field of Wholesale Trading a wide range of Rubber Stamp Making Machines, Stamp Daters, Hand Stamps, Stamp Materials, Stamp Mounts, etc. The products offered by us are widely acknowledged in the industry for their reasonable prices.